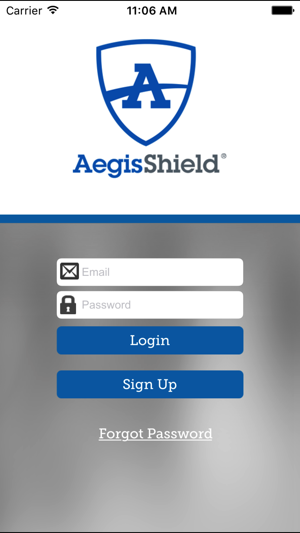 Aegis Shield was created to provide up-to-date access to information for over 140,000 dietary supplements, over-the-counter medications, and prescription drugs - the most extensive database of its kind. 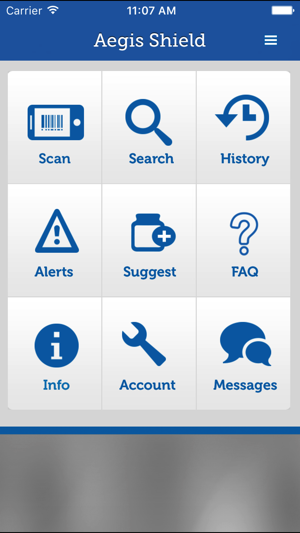 Products can be securely searched or automatically found by scanning the product’s UPC code with the device camera. 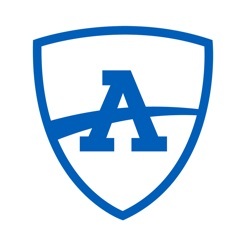 Aegis Shield is backed by Aegis Sciences Corporation and its team of experts who evaluate each product and assign a status: Okay, Caution or Banned. 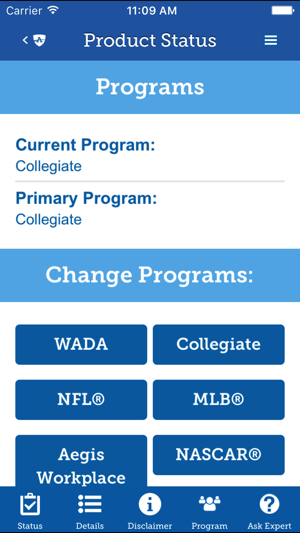 These statuses are based on each league or athletic organization’s list of banned substances. Each status is accompanied by an explanation of why that product received its status. Noticed the reviews written sound like Dr’s or people that created the App trying to sound like Dr’s. 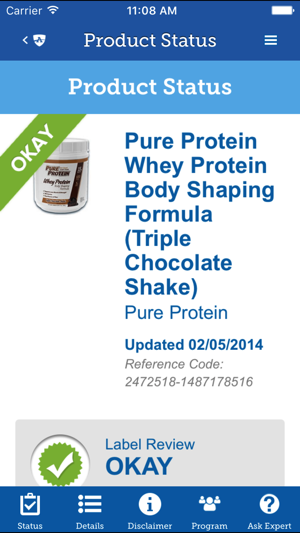 Downloaded App scanned ALL my supplements , including Dymatize Whey Protein 1 of the Top Rated Proteins in the world . “Item Not Found” ? Found my creatine and it did not give me a “rating” or ANY useful info that I couldn’t have simply read on the side of the bottle. Found the App to be pointless and deleted. 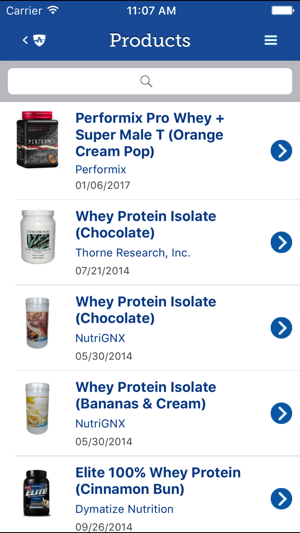 Easy way to scan or search dietary supplements to determine if their ingredient listings include banned substances. Great to help reduce the risk of consuming banned substances. WADA and other banned substance lists to choose from. Excellent web site as well.